It doesn’t matter if “it looks tight.” Now is the time to go check that every connection is tight. 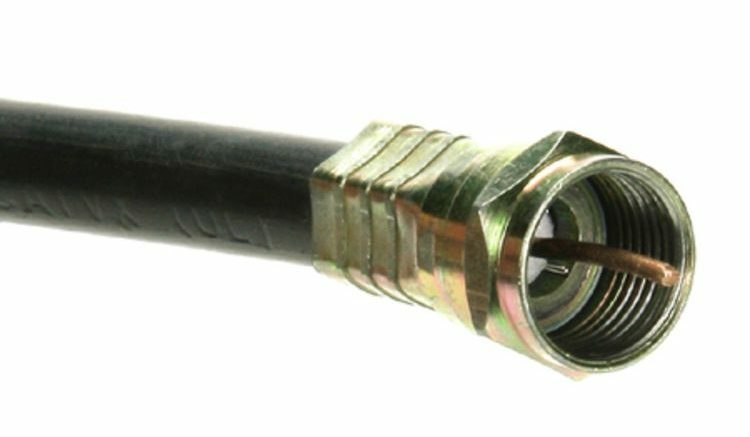 Connectors can get loose from swelling and contracting due to temperature change. They can get loose due to being moved. They can corrode. Anything can happen. Using a 7/16″ open-end wrench, gently snug the end of every connector to the point where it won’t respond to gentle pressure. Push in every RCA cable gently. Using very light pressure, pull on every bare wire connection to see if it comes loose. If it does, re-attach it. Unscrew the thumbscrews on VGA and other legacy connectors to make sure they detach properly, then wipe the screws with a little WD-40. Spray the WD-40 on a cloth first, don’t spray on the connector. Finally, reconnect them. Check cables with strain reliefs to make sure they are not cracked. With all your devices turned off, gently tap power cables to make sure they are firmly plugged in and that they will not fall out. While you’re there, take a good look at your home theater. If you’re like most of us, you’ve double- and triple-wired things because you weren’t sure what you would need. At last count I have removed over 30 RCA cables from my home theater. While you’re at it, bundle cables together with Velcro Plant Tape. It’s the easy and cheap way to secure cables temporarily.